Shrimp & Sausage Étouffée might be just the main course you are searching for. This recipe serves 6 and costs $3.2 per serving. One serving contains 392 calories, 35g of protein, and 21g of fat. A mixture of butter, garlic cloves, salt & pepper, and a handful of other ingredients are all it takes to make this recipe so scrumptious. This recipe is liked by 3 foodies and cooks. From preparation to the plate, this recipe takes around 45 minutes. All things considered, we decided this recipe deserves a spoonacular score of 63%. This score is solid.  Try Sausage and Mushroom Étouffée, Chicken and Sausage Etouffee, and Shrimp Etouffée for similar recipes. Pinot Grigio, Riesling, and Sauvignon Blanc are great choices for Shrimp. These crisp white wines work well with shrimp prepared in a variety of ways, whether grilled, fried, or in garlic sauce. The Maso Canali Pinot Grigio with a 4.6 out of 5 star rating seems like a good match. It costs about 15 dollars per bottle. The Maso Canali Pinot Grigio displays a brilliant pale golden color indicative of its crisp, citrus aromas and floral notes. This wine is well-balanced and full-flavored with hints of nectarine. Pair it with seafood and light poultry for a delightful meal. Prep everything beforehand. Dice the trinity (onion, celery, bell pepper), mince garlic, season shrimp with salt and pepper, etc. In a medium-heated heavy pot or dutch oven, fry sliced sausage with a little olive oil and set aside. In the same pot, add butter and about 1/4 cup of olive oil. When butter melts, quickly whisk in flour until fully incorporated. Using a wooden spatula, stir continuously (to prevent flour from scorching) until roux is brown, about 10 minutes. Add trinity and garlic to the mix and cook for another 5 minutes or so. Make sure the roux doesn't stick to the bottom of the pan, so add more oil if you need to. Now, add the stock to deglaze the pot for a couple of minutes. Then, sprinkle in the Cajun seasoning mix and bring to a boil. Let reduce uncovered, still in medium heat, for about 40 minutes or until liquid reaches a gravy-like consistency. In the end, stir in the sausage slices and raw shrimp for a couple more minutes. When it returns to boil, turn off heat and re-season accordingly. Let simmer for another 5 minutes before serving. 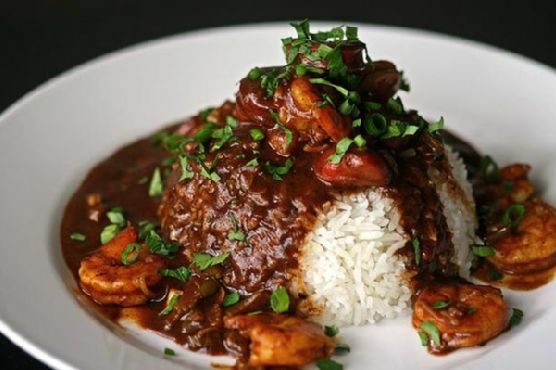 To serve, plate a bed of rice and smother with etouffee. Garnish liberally with parsley and scallions.